(CNN) Authorities in Alabama have finally put the lid on an unusual jailbreak. A dozen inmates at the Walker County Jail in Jasper made a run for it on Sunday night. Most were quickly caught. They are all back behind bars now, with the final fugitive recaptured Tuesday night. Their escape plan: Trick a new employee into opening an outside door. The weapon of choice: peanut butter. “It may sound crazy, but these people are crazy like a fox,” Walker County Sheriff Jim Underwood said at a news conference in Jasper on Monday. The inmates basically took advantage of a new, unidentified guard who was working in the control room, keeping track of 140 inmates. What the guard believed to be an inmate’s cell door was actually a door leading outside, Underwood said. “They changed the number over the (cell) door with peanut butter” to match the door to the outside, he said. “(Then) they hollered, ‘Hey, open door’ so-and-so, but (the number the inmates gave the worker) was the outside door. And unknowingly to him, he hit that lock and out the door they went,” Underwood said. The sheriff blames the whole situation on a mistake. “We got some evil people down here,” Underwood said. The inmates threw a blanket over the barbed wire fence, which is about 15-feet high, Underwood said. The sheriff estimates it took the inmates about 10 minutes to make their escape. No one was injured in the hunt, the sheriff said. “One (inmate) in the hospital had to have his thumb sown back on where the razor wire cut it,” Underwood said. Underwood said the first 11 escapes were captured with eight hours. Most of them were found in the Jasper area, Underwood said. Some of them took off on foot, while others are suspected of getting in a car. Jasper Mayor David O’Mary told CNN sister network HLN that the escapees apparently stayed together after they were outside the jail facility, and that played a big role in allowing the police to catch the suspects in a short period. Two had been jailed on attempted murder allegations. 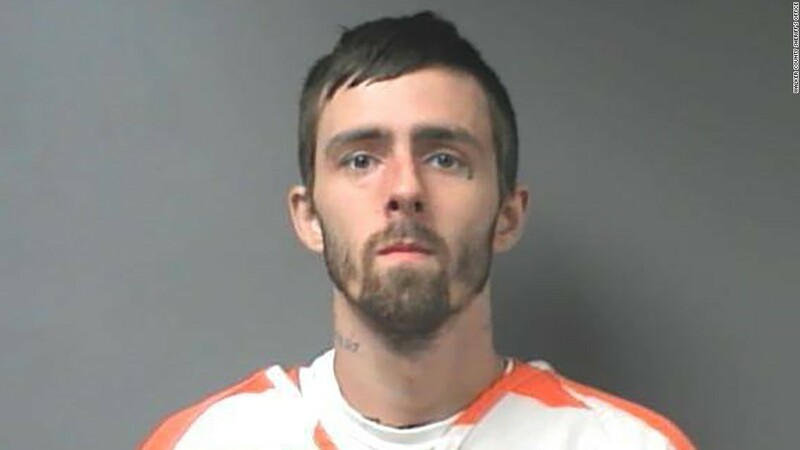 The 12th escapee,Brady Andrew Kilpatrick,was caught Tuesday evening, the sheriff’s office said. Authorities announced the end of the manhunt by adding “***KILPATRICK CAPTURED AS OF 08/01/2017 6:38pm” to a Facebook post on the sheriff’s department’s page. Kilpatrick, 24, was tracked down 600 miles from Jasper in Martin County, on the east coast of South Florida, the sheriff’s office there said. He had been jailed for alleged drug offenses. Kilpatrick’s attorney, Belinda Ann Weldon, told CNN affiliate WBMA-TV in Alabama that she believes drugs played a role in the Sunday night escape. Jasper is about 35 miles northwest of Birmingham. The Walker County Jail was opened in 1998 and houses 250 inmates, according to its website. Other recent jailbreaks have seen inmates take advantage of building infrastructure. In 2016, six inmates escaped from the Cocke County Jail Annex in Newport, Tennessee, on Christmas morning after ripping a leaking toilet out of the wall of the facility. All were recaptured. Meanwhile, the Walker County sheriff said officials would look again at placing a young person in an control area to make decisions for 140 inmates. The camera system also needs to be equipped with more monitors, he added. Despite the current sticky situation, the sheriff said he doesn’t have plans to put any dietary restrictions in place in the future. “They love peanut butter sandwiches,” said Underwood.